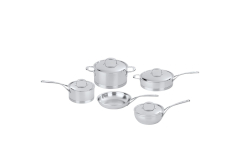 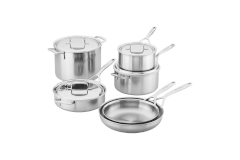 Demeyere sets are stainless steel that specialize in perfect heat distribution every time. 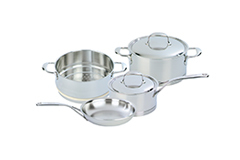 Professional chefs prefer Demeyere because of its multiply construction and high finish. 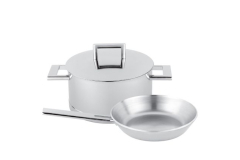 Great for all methods of cooking and boast that food will not stick. 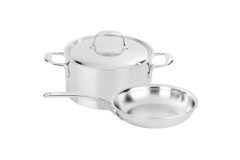 Designed for easy grip and pouring work on all cooking surfaces while being dishwasher safe.